Obesity: My research was internationally recognized as the first to demonstrate that inflammation appears to be driving the association between obesity and asthma, and this work has since been replicated by other research groups. I have also developed a weight loss program for people with asthma, and found that a loss of 5-10% bodyweight is associated with clinically important improvements in asthma control in 58% of patients and asthma-related quality of life in 83% of patients. My weight loss recommendations have since been implemented into clinical practice guidelines published by the National Asthma Council Australia. Exercise: My work demonstrates that exercise improves asthma, with 10 weeks of exercise training resulting in a highly significant halving of asthmatic airway inflammation (sputum eosinophils) and an improvement in asthma-related quality of life. We are now exploring the impact of exercise intensity, to determine the intensity of exercise that provides the greatest benefit to people with asthma. Diet: I am interested in the influence of dietary intake in people with lung disease. I have found that a higher intake of saturated fat is associated with more inflamed lungs in adults with asthma. We are now examining whether the quality of a meal consumed post-exercise (e.g. fat content, fibre content) impacts the inflammatory response to exercise in the lungs and blood of adults with asthma. Hormones: I have found that both oral contraceptive pill use and testosterone concentrations are inversely associated with the amount of inflammation in the lungs of adults with asthma. I have also found that asthmatic women using the oral contraceptive pill have fewer asthma symptoms and less inflammation in their lungs compared to women not using the oral contraceptive pill. I decided to get into research because I love to help people, I love to meet new people and I love to learn. Research offers me all of these things. I meet new people all the time, as volunteers in my research studies, and I get to see first-hand how changing their diet, exercise habits, and managing their weight can improve their life. Then I get to share these findings with other researchers, with the goal that our work will benefit the whole community. I enjoy researching asthma because we all need to breathe to live. One in 9 Australian’s have asthma, so it is common and it can have a profoundly negative impact on people’s lives. I believe my research can help make the life of someone living with asthma better. My research goal is simple: to help improve the lives of people with lung disease. I hope to do this by discovering the ideal dietary pattern and exercise program, as well as the optimal approach to weight management, for someone with lung disease. We all eat and move every day, so understanding how both diet and exercise influence asthma is really important for optimising asthma management. 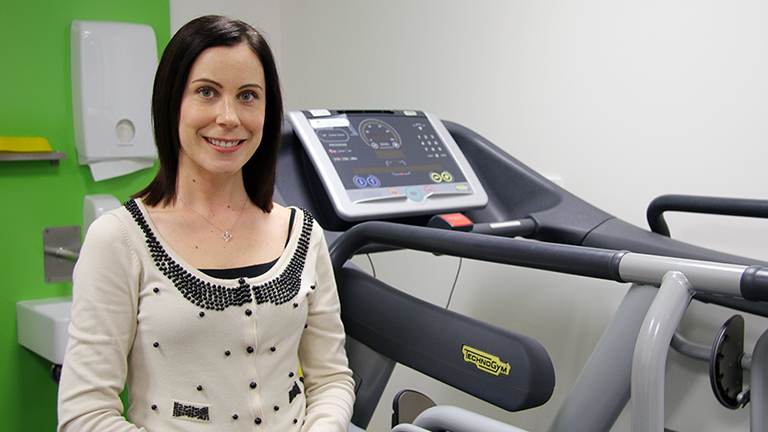 Dr Hayley Scott is a mid-career researcher within the HMRI VIVA research progam, driving new research towards better understanding the roles of obesity, nutrition and exercise in the treatment of lung disease. She graduated with a Bachelor of Nutrition and Dietetics (Hons) from University of Newcastle (UoN) in 2006, a PhD in Medicine from UoN in 2012, completed a Postdoctoral Fellowship at The University of Queensland from 2014-2016, then returned to UoN in 2017. Dr Scott has developed guidelines for the management of obesity in people with severe asthma, published by the NHMRC Centre of Excellence in Severe Asthma - https://toolkit.severeasthma.org.au/co-morbidities/extra-pulmonary/obesity/. She also contributed to the booklet Better Living with COPD: A Patient Guide (2015), by providing expertise regarding the management of obesity in people with COPD. In 2017, Dr Scott was invited to present her research into obesity in people with asthma at the Asian Pacific Society of Respirology International Conference. She co-convene a Nutrition Special Interest Group (SIG) for the Thoracic Society of Australia and New Zealand, with the goal of promoting nutritional research and developing nutrition guidelines for people with respiratory disease in Australia and New Zealand. I hope my career will contribute to the development of management guidelines and improvements in the way people with lung disease are cared for, by providing evidence regarding the positive effect that diet, exercise and weight management can have in this population.